Is anyone out there? Hello? Hello? If you have taught online, you know this feeling. You ask for questions or feedback, and get nothing. And you feel limited because you cannot look around to identify reinforcing eye contact or body language. Are participants paying attention? Are they even awake? "Engagement is defined by Merriam-Webster as emotional involvement or commitment." 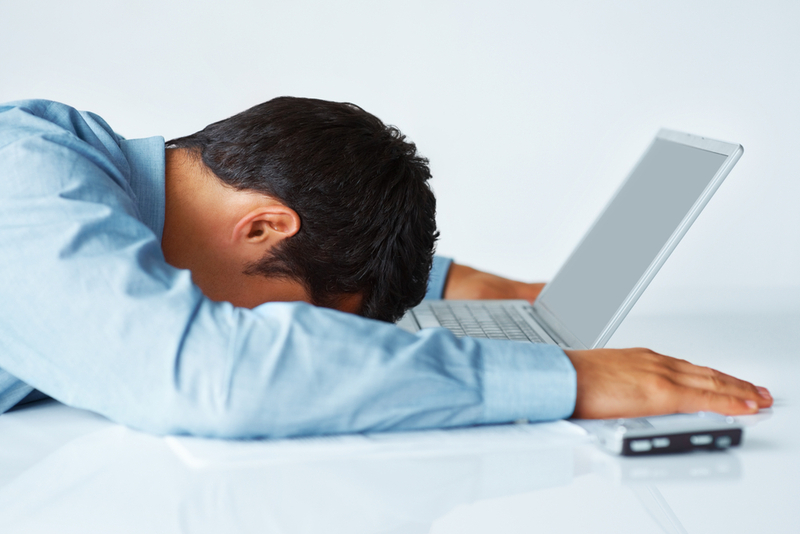 Even the most motivated participant can "tune out" if they don’t feel engaged. There are many ways to engage participants in a virtual classroom like Adobe Connect or WebEx. At the highest level you want to consider learner motivation, manager support, instructional design, technology, or the skill of the facilitator. But at the course level, there are some easy things you can do when you are facilitating that can help with engagement. Keep all avenues of communication open. Some participants will prefer to chat or use whiteboard tools to communicate. Leave these options open and encourage their use. When you do get feedback, acknowledge it just as if it were stated aloud. Have the participants do something every 3-5 minutes. Whether it is speaking, reading, interacting with the technology, or working in breakout groups, asking for interaction this consistently makes participants understand that their presence makes a difference. The corollary to this technique is if you have been speaking for more than 5 minutes, you are talking too much. Use the information provided by the participants. So often, facilitators run a poll and say “Thank you," but don’t incorporate the results of the poll (or whiteboard activity or chat activity) into the conversation. This can make participants feel as if the interaction isn’t relevant. Make a point of strongly connecting the feedback and contributions to the content (“75% of you responded in the affirmative. That is consistent with other groups, and is interesting because….”). Use participants’ names. Simply knowing that the individuals in the session are important can make the experience seem more valuable. Focus on the content, not the technology. It is very easy to talk about polls, breakout rooms, firewalls, etc. It’s also easy to get caught in the trap of complaining about virtual classroom problems. This can be very distracting, and will turn off participants who were already not inclined to enjoy the experience. Minimize the tech-talk and keep on track. Implementing these simple in-the-moment facilitation techniques will go a long way towards personalizing the virtual classroom experience. Want more information? 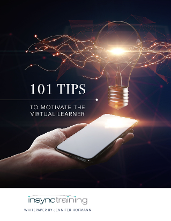 Download our whitepaper, 101 Tips to Motivate the Virtual Learner, by clicking on the graphic below. Ready to learn more? 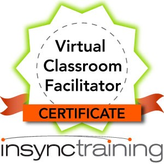 Click on the graphic below to check out our Virtual Classroom Facilitator Certificate course and discover how you can earn your Virtual Classroom Facilitator Badge.